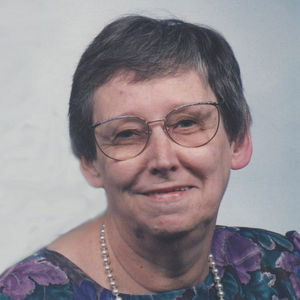 Rose (Havinga) Van Faasen, age 89, died peacefully at home on Sunday, April 14, 2019. Rose was a loving mother, grandmother, and great-grandmother and was a member of Faith Church. Rose was preceded in death by her husband, Ivan Van Faasen in 1994. She is survived by her sons, Brian (Fuzz) and Patricia Van Faasen of Baldwin and Brent and Lois Van Faasen of Holland; daughter, Kathy Van Faasen of Holland; grandchildren, Amy and Scott Goddard, Toni and Dave Laws of Borculo, Jodi and Wayne Ray of Mt Morris, Jeri Ramirez of Fruitport; 10 great-grandchildren, 9 great-great-grandchildren; and many nieces and nephews. Funeral services are 10:00 am on Wednesday, April 17, 2019 at Langeland Sterenberg Funeral Home, 315 E. 16th St. Holland, MI 49423 with Rev. Chad Peirce officiating. Memorial contributions may be given in Rose's honor to the American Cancer Society or Hospice of Holland. Internment to take be in Pilgrim Home Cemetery.